Shall I post some new pics? Hollister. Sagging w/ jeans or Tracksuit? Holiday (at this stage of my life at least, maybe would emigrate later in life). 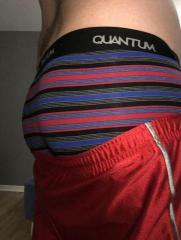 CK or EA underwear?